1. L. Bass, P. Clements, and R. Kazman, Software Architecture in Practice, 2nd ed., Addison-Wesley, 2003. 2. N. Rozanski and E. Woods, Software Systems Architecture: Working with Stakeholders Using Viewpoints and Perspectives, Addison- Wesley, 2005. 3. 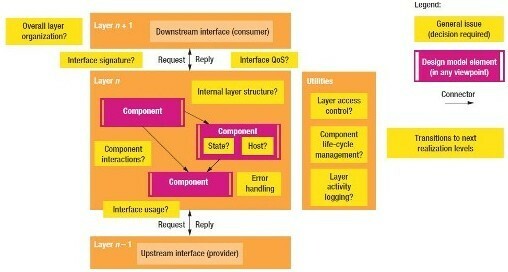 P. Eeles and P. Cripps, The Process of Soft- ware Architecting, Addison-Wesley, 2010. 4. M. Fowler, "Who Needs an Architect?" IEEE Software, vol. 20, no. 5, 2003, pp. 2-4. 5. G. Booch, internal conference presentation to IBM Academy of Technology, 27 Apr., 2009. 6. O. Zimmermann, "An Architectural Decision Modeling Framework for Service-Oriented Architecture Design," PhD thesis, Univ. of Stuttgart, 2009. 7. F. Buschmann, K. Henney, and D. Schmidt, Pattern-Oriented Software Architecture, Vol. 4 - A Pattern Language for Distributed Computing, Wiley, 2007. 8. IBM Unifi ed Method Framework, work product description (ARC 0513), IBM, 2009. 9. M. Ali Babar et al., eds., Software Architecture Knowledge Management: Theory and Practice, Springer, 2009. 10. O. Zimmermann et al., "Managing Architectural Decision Models with Dependency Relations, Integrity Constraints, and Production Rules," J. Systems and Software and Services, vol. 82, no. 8, 2009, pp. 1246-1267. 11. J. Tyree and A. Ackerman, "Architecture Decisions: Demystifying Architecture," IEEE Software, vol. 22, no. 2, 2005, pp. 19-27. 12. 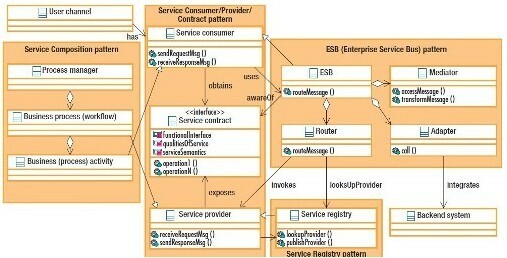 M. Fowler, Patterns of Enterprise Application Architecture, Addison-Wesley, 2003. 13. G. Hohpe and B. Woolf, Enterprise Integration Patterns, Addison-Wesley, 2004. 14. U. Zdun, C. Hentrich, and S. Dustdar, "Modeling Process-Driven and Service-Oriented Architectures Using Patterns and Pattern Primitives," ACM Trans. Web, vol. 1, no. 3, 2007, article no. 3; doi.10.1145/1281480.1281484. 15. 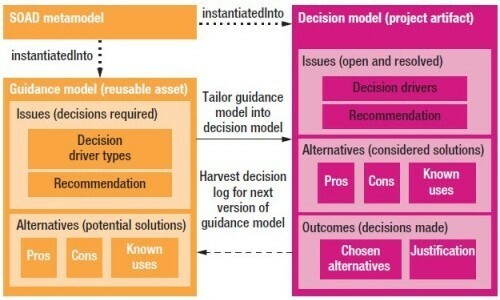 M. Nowak, C. Pautasso, and O. Zimmermann, "Architectural Decision Modeling with Reuse: Challenges and Opportunities," Proc. 2010 ICSE Workshop Sharing and Reusing Architectural Knowledge (SHARK 10), ACM Press, 2010, pp. 13-20.